Meet Baron, a fine Silesian Merino. This engraving of him was included in the American Agriculturist from February 1867. His pedigree went back to 1811 and his ancestors had been imported from Spain to Silesia, a province of the German Kingdom of Prussia. As you might guess from this horned merino ram drawing, this species is treasured for it’s fine, soft wool. Baron won first prize in his class at the 1866 New York State Agricultural Society show. It was then that an artist created his portrait. From a distance it looks like a black and white photograpg. But, this is indeed a drawing made into an engraving. Isn’t it lovely? 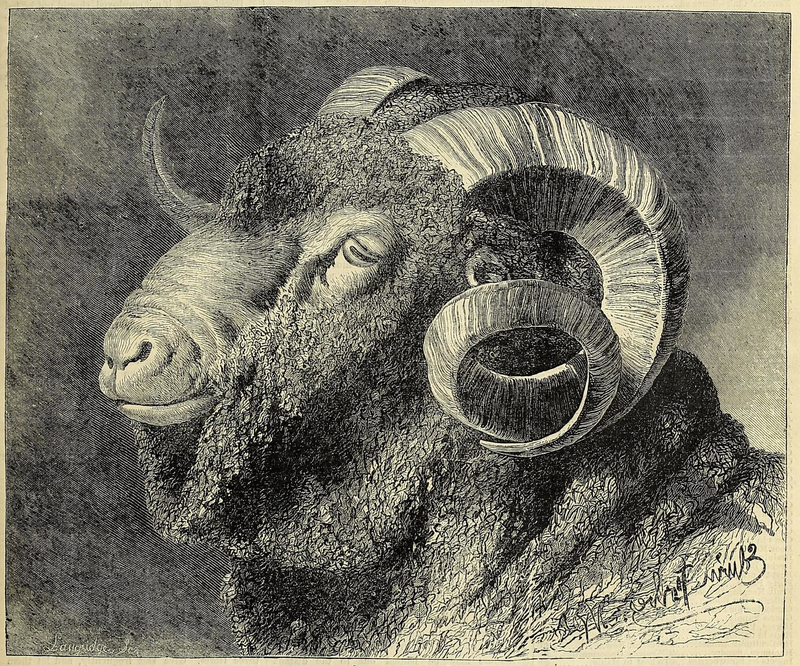 Like this horned marino ram drawing? Then you’re in luck. There’s an even larger version of this fellow. Simply click on him and you’ll see him in his full glory.